Our amber earrings weighs so little, you might forget that you have them on! 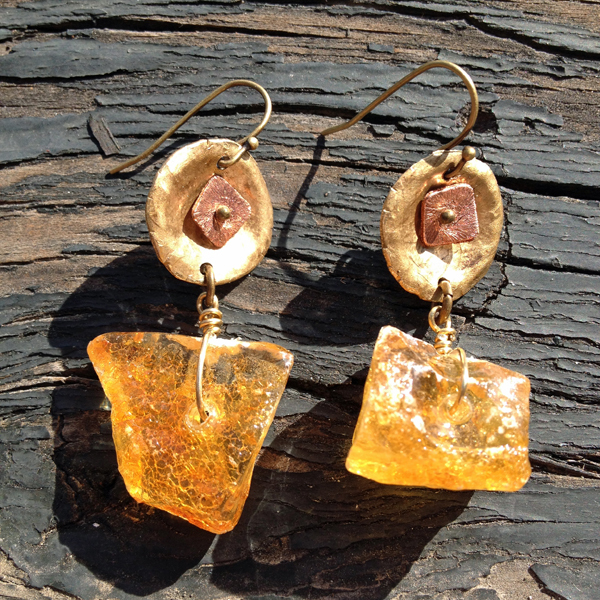 Made with reclaimed brass and rough amber, these earrings are asymmetrical. Approximately 2 inches in length.